A really seminal album from Fela Kuti – searing live set that pairs him with drummer Ginger Baker – formerly of Cream, and a huge supporter of Fela's music on the UK scene! 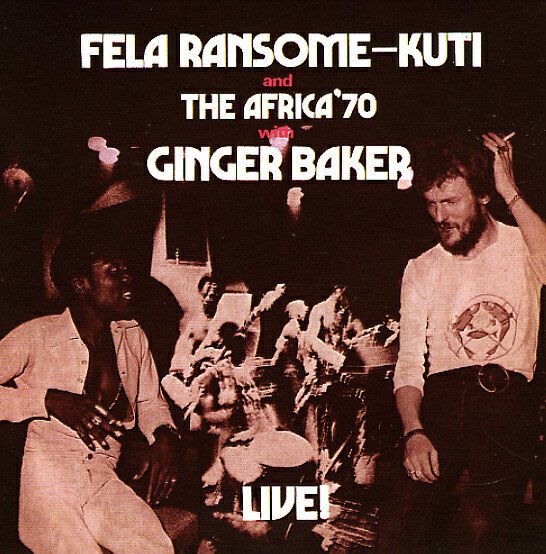 Baker had already picked up a lot of Fela's influence in his music – and rather than the record being one in which an African artist waters down his groove for a rock world, the set's instead one in which Baker makes a surprisingly strong stand with Fela's Africa 70 group – the classic lineup that featured the great Tony Allen on drums! The sound of the set is great – well on a par with Fela's best work of the time, and perhaps even a bit better – given the extra drive that Baker brings to the session. Tracks are all long, yet a bit more focused than usual – and titles include "Ye Ye De Smell", "Black Man's Cry", and "Let's Start". © 1996-2019, Dusty Groove, Inc.